As anyone who’s sold can testify, finding a buyer for your home can be an anxious time. No more so than when your home feels like it’s just languishing on the market - unloved, and overlooked. A recent study by the RICS (Royal Institution of Chartered Surveyors) has revealed that the average time it takes to sell your home in 2018 has gone from 16 weeks to 18. Stats like this can often make homeowners feel helpless. However, you’re not completely at the mercy of mysterious market forces. Hiring an architect might not be your first instinct when it comes to selling your home - afterall, why design a home you’re not going to live in? But getting an architect on board can make a huge difference! Architects are masters at unlocking a home’s potential, and by demonstrating the future possibilities of your home, you’ll find buyers much more receptive. At Resi, our Concept Package can be used for this very purpose. We work with the homeowner to create multiple extension options, and create designs that buyers could use in the future. All of this is packaged up and completed with a project guidance report. This allows future owners of the home to understand the cost of our proposed designs, and the steps they’ll need to take in order to achieve it. Of course, this is just what we offer. You could always go with another architect practise, though you’ll need to be clear on what you’re after, and for what purpose. We recommend focusing on designs that either expand the living space of a home, or add extra bedrooms. Two desirable prospects for any buyer. If you want to take your new designs one step further, 3D models are the way to go. 3D models come in several forms: interactive, and photo-realistic (or rendered, as we say in the business). Both can be generated from the floor plans designed by your architect, though not all architect firms will offer this option, especially if they’re a smaller business. Interactive models will allow a potential buyer to explore the proposed space and design, either through an interactive model, or using a virtual reality headset, like Google Cardboard. This a fun way of getting them used to the layout, while the renders allow them to see a more realistic rendition of the home. 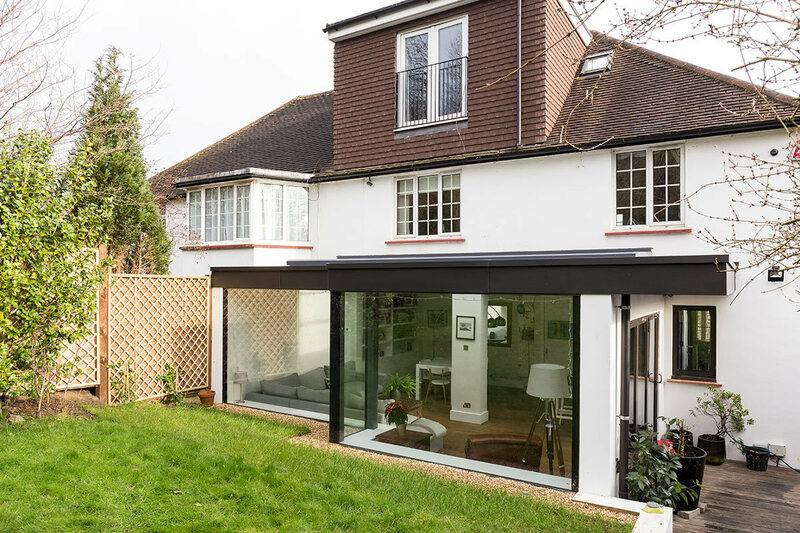 If you have the budget, the ultimate way to make your home stand out is with planning permission. Planning permission lasts three years, and having it already linked to a home can be very alluring to buyers. Not only this, though securing planning permission can be costly when compared to just designs and models, it can add up to £10,000 to your home’s value. Yes, really. In order to secure planning permission, you’ll either need to submit your architects design’s to your local planning authority, or work with an architect that will do this on your behalf. Having an architect act as your planning agent is always recommended, as this will reduce the risks of facing rejection and costly admin mistakes.